The Pampering Plumber offers personalized service in a relaxing fashion. You will always be provided with information about where to go and who to talk to in case there is a problem. The kind of service that our local plumbers offer, cannot be rivaled or beat. Our years of building a stellar reputation in terms of plumbing services in Tampa, FL and the surrounding areas will attest to that. 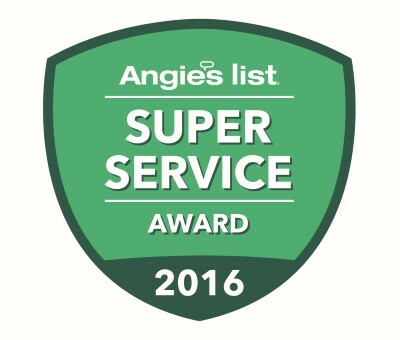 In 2016, we were awarded the prestigious Angie’s List Super Service Award for the ninth year in a row! 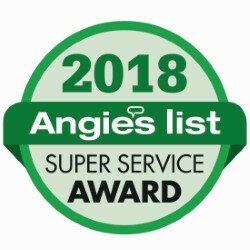 This award reflects our company’s remarkable plumber reviews in Tampa and our consistent record of customer satisfaction in the Trinity, FL and the Tampa Bay area. To verify our service record you can contact the Better Business Bureau, call the municipality inspectors or check with local suppliers. We can also furnish you with references if you would like. We understand the importance of long-term relationships and positive word of mouth when it comes to plumbing companies in Tampa. Our simple philosophy, one that has kept our customers coming back, is to give the utmost respect to everyone we work with. In 1990, Colleen and Erik Suojanen started Plumbers of Suojanen Enterprises, Inc. The company, which started out as nothing more than a couple of trucks and a cell phone, has become a family-run multi-million dollar enterprise. The philosophies of respect, cooperation and balance, which built Suojanen Enterprises, can be found in every aspect of The Pampering Plumber as well, from our tips for how to maintain and when to replace your water heater to our Tampa water softener repair.